This circular convex mirror is framed in a shallow zebra walnut veneered wedge. Create customized mirrors framed utilizing a wide range of materials and techniques. 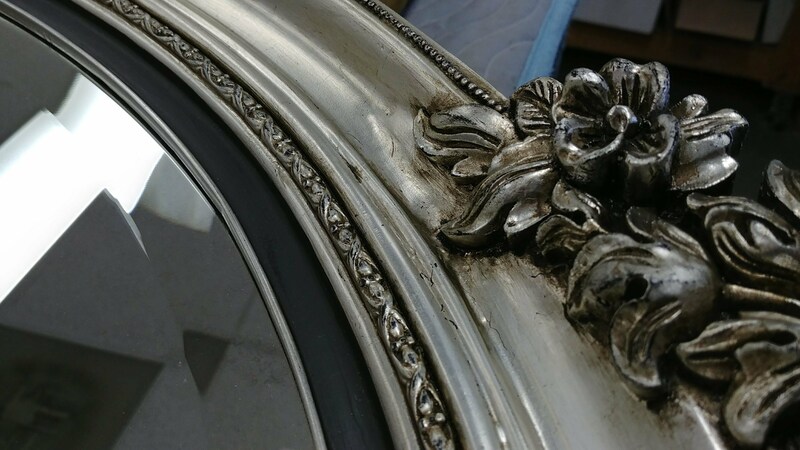 Request custom hand carved wooden frames and custom framed mirror glass, including gold frame mirrors, large standing mirrors or antique glass mirrors. Using wood, metal or acrylic frames in combination with glass, edge treatment and silvering allows for multitude of options. Our experts can customize mirror options for home features such as mirrored closet panels, bar mirror, or mirror tile. Your design could include a split trumeau or multi-panel mirror featuring bevels or polished edges. The silvering can be clear, antique or use gold leaf on float, tinted, or art glass. Custom samples are available upon request.